BooooOOOooOOooOooOooOOooO! Tomorrow begins my favorite month of the year – Halloween month! I’m Halloween obsessed, y’all. I start looking forward to digging out the Halloween craft supplies and decorations the second I hear the first rumbles of school buses in September. 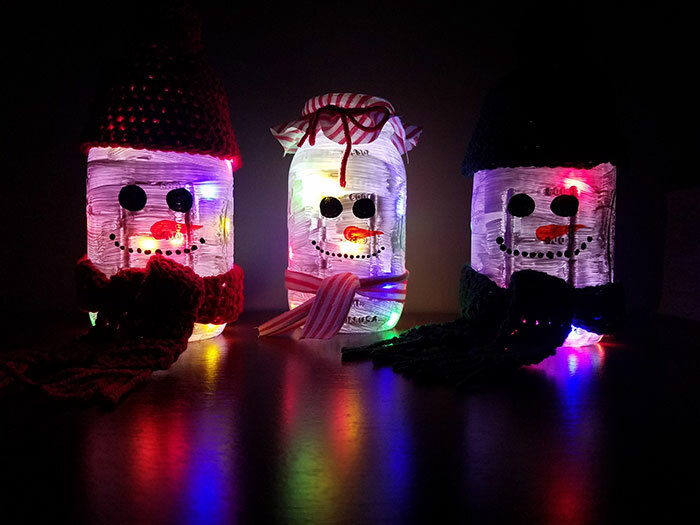 We do cute-not-creepy decorations, which are sometimes a challenge to find, so I end up making a lot of ours. One day, while having breakfast at work, crafty inspiration struck and this adorable upcycled Halloween craft was born! It all started with some yogurt. Hey ghost! Put my yogurt down! I was really excited when I got home and discovered that the labels peel off easily and cleanly. I used a steel wool pad to remove a few tiny spots of adhesive left behind. 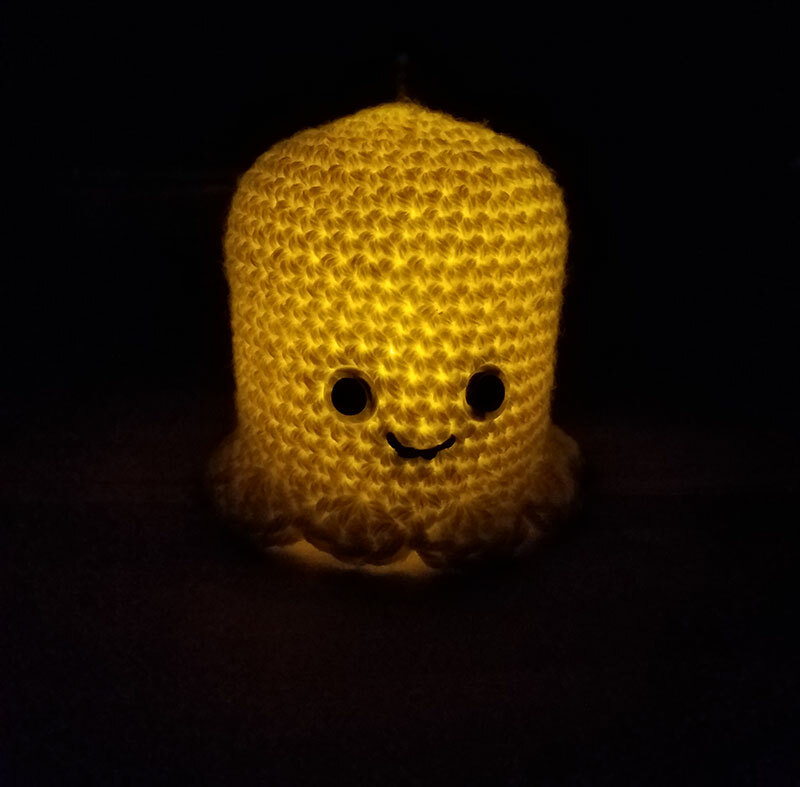 After bit of hooking, adorable glowing crochet ghosts were born. This upcycled Halloween craft will take you less than an hour from start to finish, and the materials are all things you probably have on hand or can pick up at the dollar store. The ghost is worked from the top down in continuous rounds. Insert 12 mm safety eyes five rows up from the scalloped edge, with 4 stitches between the eyes. Using wire snips, trim the stems off of the safety eyes. Stitch on a mouth using embroidery floss. 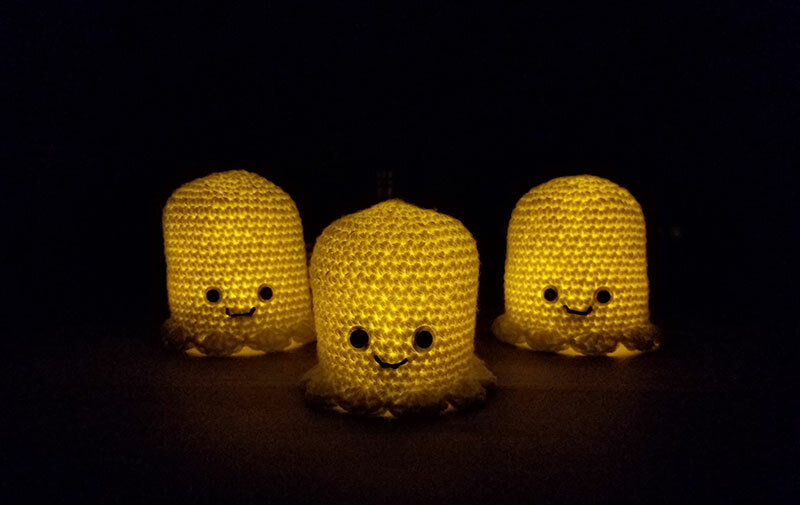 Slide the crochet ghost over the jar, and place on top of battery operated tealight. 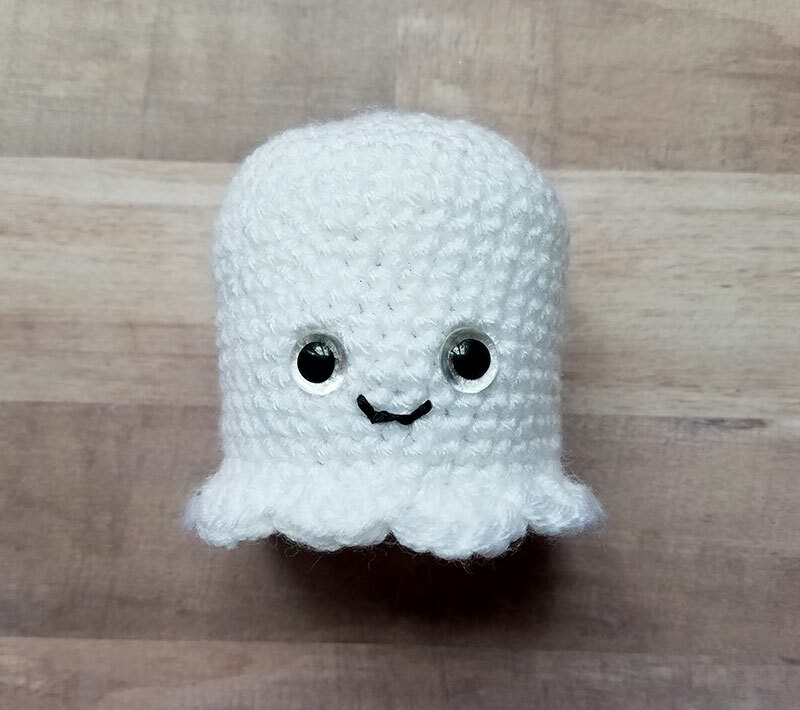 Enjoy your new ghostie friend! Easypeasey, right? 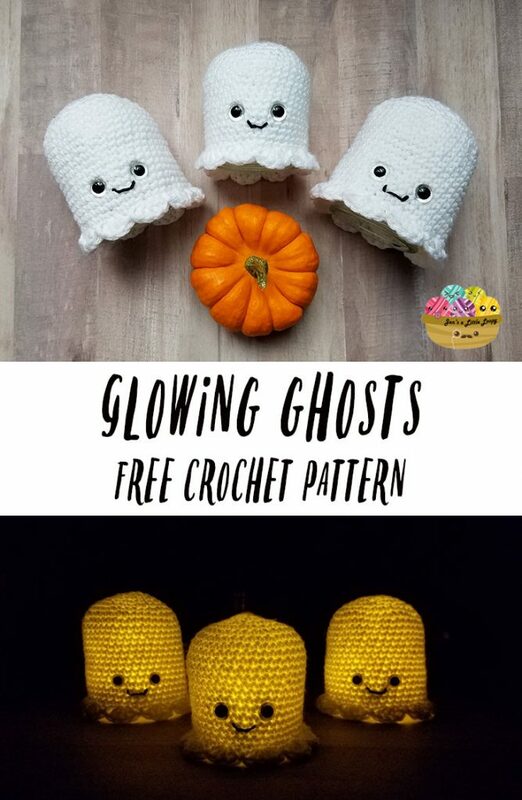 You could make a whole host of ghosts this weekend! 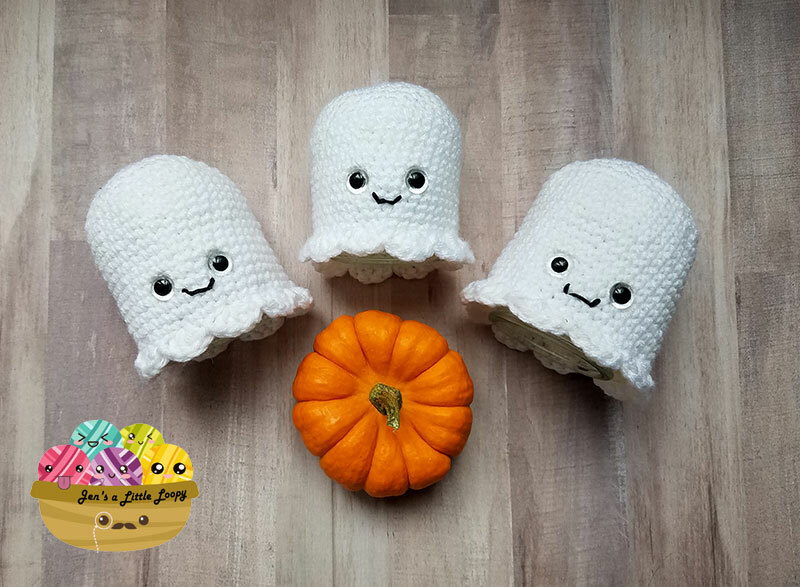 These would be supercute hostess gifts for Halloween parties! 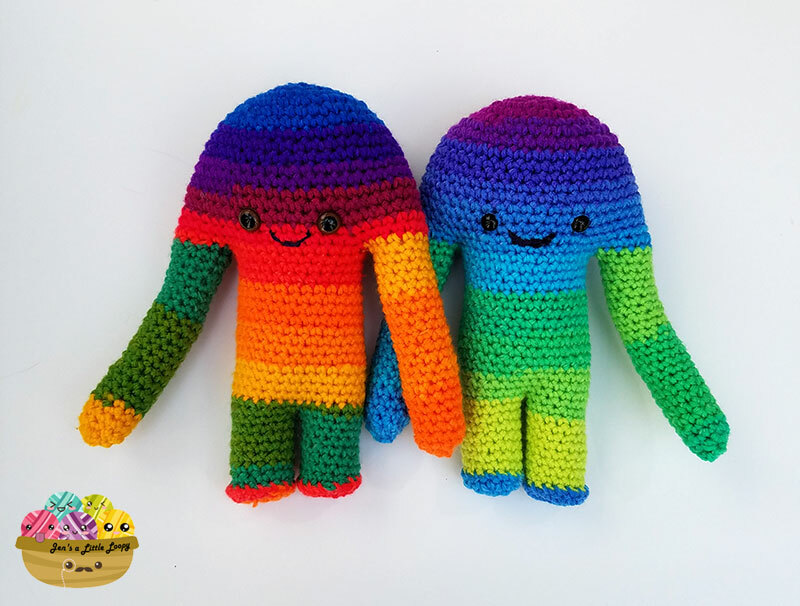 If you don’t know how to crochet or want to make this a kid-friendly project, there are a few ways you can make this project with things you have around the house. Paint the jar with slightly watered down white craft paint, and then paint on some eyes and a mouth. Or glue on some googly eyes for extra fun! Decoupage the outside of the pot with small pieces of torn tissue paper, and then draw on eyes and a mouth with a Sharpie. Drape a tissue over the top of the jar, secure with a rubber band, and then draw the eyes and mouth on with a Sharpie. If you liked this project, I’d love it if you pinned and shared! Super cute ghosts!! Visiting from Made By You Monday party. I love this little guy. Easy to make, even for a beginner. Do u plan on any other patterns to go with the little jar? I’d love to be able to make Christmas ones, but not able to make my own patterns. 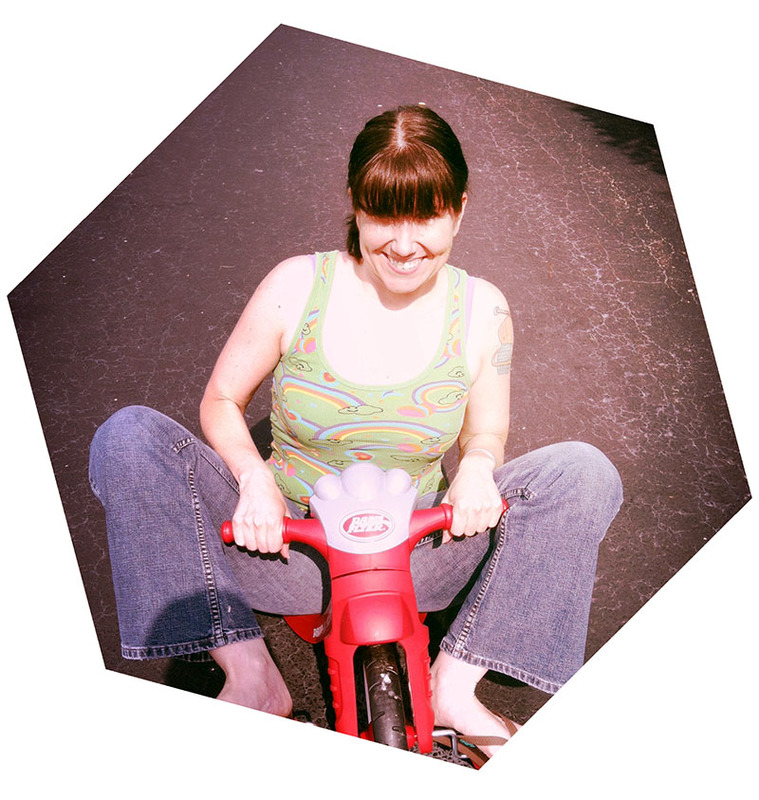 Hi Debi! Thank you, I’m so glad you like him! 🙂 Yep, I’m writing some Christmas designs as we speak, and they’ll be posted around the first week of November-ish. I am new to crochet. Could you explain how to (for instance) “sc 2, inc around (24) ? If the previous row has 18 stitches, you want to add 6, right? So every third stitch, you add another? Hi Beth! Happy to help you! You are correct, for this row on every third stitch you’ll add another. Another way to write that instruction would be sc 2, sc 2 into same stitch. 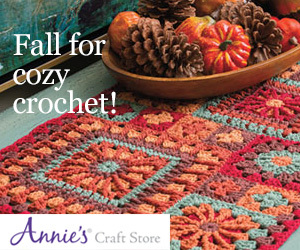 For amigurumi, an increase (inc.) is typically two scs into the same stitch – you have good instincts! Hope this helps, and feel free to reach out if you have any other questions. These are really cute. 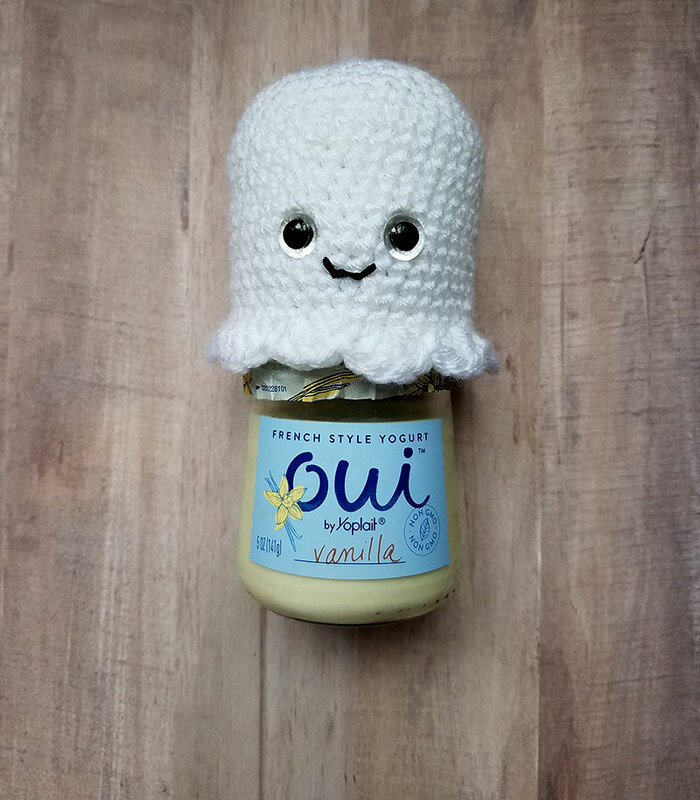 Does it fit snuggly over the jar? I tried to make one and it is really big. I did use a G hook.